The Plymouth County 911 System Administrator is responsible for assigning addresses in the rural areas of Plymouth County. The city clerk’s office of each city in Plymouth County is responsible for assigning addresses within the city limits of each city; contact the city clerk’s office of that particular city to have an address assigned. Plymouth County 911 System Administrators office is located at 215 45h Ave SE, Le Mars. The telephone number is 712-546-8760. 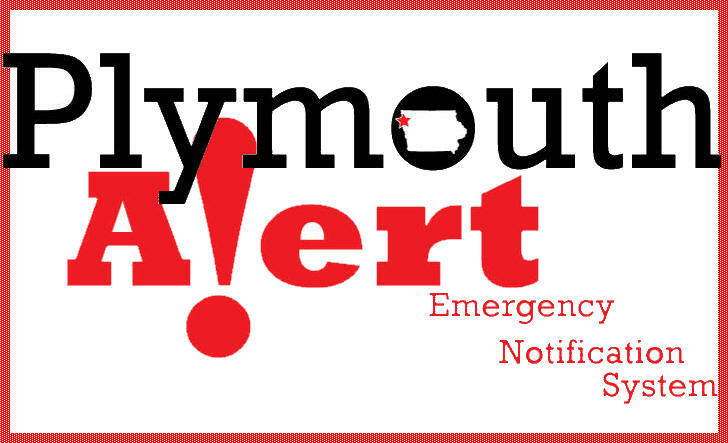 Contact the Plymouth County 911 System Administrator if you do not know your address, or you are building a house or moving a house/building. You will not be able to receive telephone service or utilities (mail, water, gas, etc..) until you have your official address. The Plymouth County 911 System Administrator's duties include assigning new addresses in Plymouth County. All this information is maintained in a file known as the Master Street Address Guide (MSAG). The 911 System Administrator coordinates all addressing changes, via the MSAG, with all local telephone providers. Plymouth County 911 System Administrator also performs all of the Global Positioning (GPS) and Geographic Information System (GIS, Electronic Mapping) functions associated with the 911/Dispatch environment. Humboldt County's Addressing Guidelines meet's State and Federal (Postal Service, N.E.N.A) addressing standards. Even if you receive mail at a P.O. Box you must have a 911 address. If you live inside the city limits of any Plymouth County City, it is the city's responsibility to assign the address. Contact the appropriate city clerks office for your address if you live inside a city limits. As important as it is to have a unified standard for assigning address numbers, it is also necessary to provide guidelines for the display of your assigned address number. All residences and most structures in Plymouth County have been assigned a locatable address with a road name and a house number. Whenever you place a call to 911 your phone number, name, house number and road name appear on the 911 dispatchers screen and location on the digital map. From this and information that you give the dispatcher as to the nature of your emergency the 911 dispatchers sends emergency units to your location to assist. 1. All structures with a designated address should display their assigned address numbers. The assigned number should be displayed on the address marker that was provided by the 911 Board to the property owner. It is very important that these address posts remain in a uniform location throughout Plymouth County so that responding agencies know in what general location to look for an address. Property owners who elect to remove, replace, re-position the sign post do so at their own risk; the Plymouth County 911 Board advises these individuals to contact IOWA ONE CALL by dialing 811 before doing so. 2. Number at the Road Line: Any posted number at the road should be placed high enough to not be obscured by snow, tall grass or weeds. If you would like assistance in moving your address marker to a different location, please the Plymouth County 911 System Administrator at 712-546-8760 3. Size and Color of Number: In Plymouth County the address markers consist of a steel blade overlaid with blue reflective material, and white reflective numbers. The blade is attached to a 6 foot aluminum post that is placed 2 fee into the ground. 4. Property owner responsibility: Every person whose duty is to display the assigned number should remove any different number that might be mistaken for, or confused with, the number assigned to the property. You should call 9-1-1 whenever you need to report a crime, need police assistance, or need fire or immediate medical assistance. To report power or cable outages, unless downed wires present a hazard. To ask about community events, for directions, or for information (phone numbers, time, etc.). Enhanced 9-1-1 is a system that provides the caller's phone number and address to the emergency dispatcher when dialing 9-1-1. The emergency operator will still ask you your location and phone number as a precaution. Some phones, especially cellular and some apartment private exchanges, may not provide this information to the emergency operator. If a hang-up call is received by the emergency operator on a 9-1-1 line, a phone call will be made to the number that it came from to try to determine if there is a problem. If there is no answer, or a suspicious response, the police will be dispatched to the location. Often these calls occur when programming emergency numbers into phones or when children play with the phone. To assist Fire and Police personnel in locating you, make sure that your house numbers are clearly visible from the street. Paint the numbers a contrasting color and make sure that they are illuminated at night. Keep your address and phone number posted near each phone so that in an emergency the information is available. It is easy for a person to mix up or not remember these numbers in an emergency. If you are calling from a cellular phone, try to verify the location of the problem that you are calling about. Give the emergency operator your cellular and your home phone number.